39 photos of this Greek island in the eastern Aegean close to the coast of Turkey. I took them at Christmas 2008 - New Year 2009. Although there was lots of sunshine there was a very cold northerly wind and we needed our fleeces. 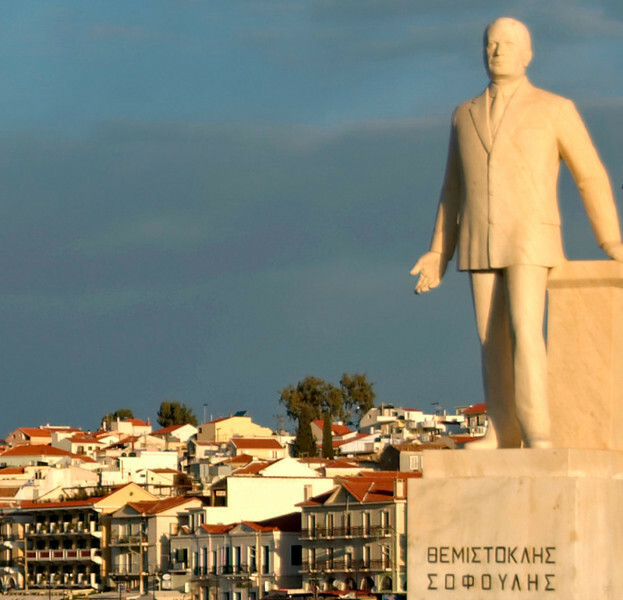 Statue of Themistoklis Sofoulis, Vathy, Samos, Greece, 25 December 2008. Much of Greece won independence from the Ottoman Empire in 1829 but not Samos. It was united with Greece in 1913, after Sofoulis had led a successful uprising against the Turks.